Selkirk took an early lead at home and never relinquished it on their way to a 75-65 win over Inchelium. The Rangers (10-7, 9-3) took an 8 point lead over the Hornets (10-6, 8-4) into the half and did just enough to hold onto that lead the rest of the way, breaking a tie with Inchelium and taking over possession of third place in the league. Selkirk was led in scoring by Jay Link with 19 points, while Ryan Zimmerman and Zach Curran added 16 and 15, respectively. Robert McKinney had a game high 20 points for Inchelium in the loss. Selkirk travels to take on Odessa Jan. 25 at 7:30 p.m.
Hunters took on league leading Odessa on Tuesday with the hopes of getting back in the win column, but the Tigers proved too much to overcome putting up a 66-24 victory. The Tigers (14-1, 10-1) pounced on Hunters (3-13, 2-10) early, opening with a 19-0 first quarter to assert control. The Lions struggled to make any headway the rest of the game en route to the loss. Ryan Reynolds had 8 points to lead the Lions. Ryan Moffett put up a game high 18 points to lead the Tigers. Hunters next hosts Northport Jan. 25 at 7:30 p.m.
Colville struggled to find their offense and couldn’t keep up with Freeman Tueday evening in a 66-39 loss. The Scotties (8-9, 5-4) took a commanding 12 point lead after the first quarter and built on that lead over the Indians (3-15, 1-9) throughout the game to take the big win. Colville was led by the 12 points apiece from Jory Dotts and Jacob Lindquist. Dylan Oja paced the way for Freeman with 17 points. Colville will play host to Lakeside Jan. 29 at 7:15 p.m.
Lakeside fell in what was a fairly close contest until the final quarter in their last game before they face off with rival Freeman in Cheney. A big final frame launched provided Riverside with enough to get the win over Lakeside 78-66. The Eagles (10-7, 5-4) took a slim 2 point lead into the half, and the Rams (5-12, 1-8) evened things out after three before going on their fourth quarter run to win the game. Lakeside was led by Micah Holmes with 26 points, only to be outdone by Riverside’s Jaxon Betker, who had 29 points. 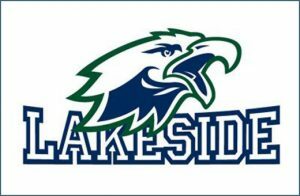 Lakeside takes on Freeman Jan. 25 in the Golden Garment Game at Eastern Washington University’s Reece Court at 8 p.m. The Northport Mustangs struggled in all facets of the game in their Tuesday matchup with Cusick, losing 75-27. Northport’s (1-15, 1-11) offense had a hard time getting engaged, while Cusick’s (11-5, 10-3) seemed to fire on all cylinders, punctuated by a 26-1 second quarter score. The Mustangs got 8 points from Conner Malcolm to lead the team. Cusick was led by Ethan Hardie with 25 points. Norhtport will face Hunters on the road Jan. 25 at 7:30 p.m.